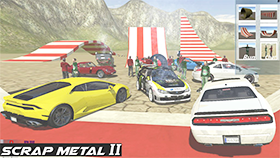 Scrap Metal is a racing game created by Ciorbyn. This game has unique 3D graphics, suitable for all ages. You can experience this game on your browser because it is a flash game. 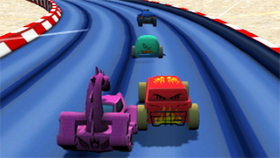 At the start of the game, you will be stunned by the super cars that the game offers. They are Ghizzan Gt2, Zagani Ira, Nord Siesta, Jeed Cheer, Little Coop and American Muscle. You will be playing in a large map with objects in it. 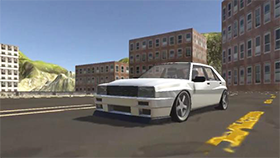 The interesting point in this game is that your car can be damaged. When the car breaks down, it can not be diverted and can not be accelerated. You can completely destroy your car by driving it to the limited walls of the map multiple times. Use number 1-7 to change view. Use T to enter slow motion. Use Enter to reset car. Use R to repair car.